Gone Girl by Gillian Flynn - GOOGLE BOOK Free eBooks for Life! 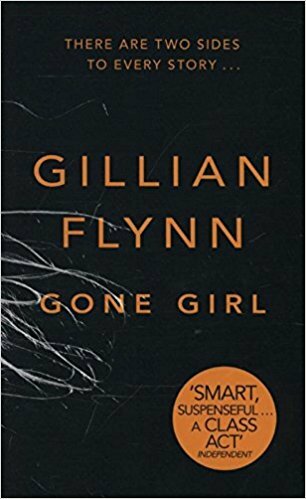 Gone Girl is a novel written by author Gillian Flynn. It is written as a contemporary thriller novel and is first published in June 2012. The novel's core mystery stems from an uncertainty about the protagonist, Nick Dunne. Whether Nick killed his wife, Amy Dunne, is the suspense the novel is built up on. The novel is well received throughout the United States and other English-speaking nations. Gone Girl centers its story about Nick and Amy Dunne's strained marriage relationship. Nick used to work as a journalist, but loses his job. With his broke financial status, Nick decides to relocate from New York City to his smaller home town, North Carthage. In an attempt of recovering from his financial deprivations, Nick opens a bar using the money from his wife. Nick runs the bar along with his twin sister Margo, providing a decent living for his family. But, as they days go by, his marriage with Amy is falling apart slowly. Amy resents her new life. On a summer morning in Missouri, when Nick and Amy are celebrating their fifth wedding anniversary along with their relatives and acquaintances, Amy goes missing. Police's eyes turn towards Nick as an act of suspicion, since Nick used Amy's money for his business and their relationship is strained. As the police delve into the investigation, different shades of stories come out from Nick's and Amy's sides. The suspense of the book is carried until the actual information is demystified. The edition is published in paperback, on 8th November, 2012. This book entered into the New York Times Best Seller list. The book is praised by reviewers for its use of unreliable narration, plot twists and suspense.